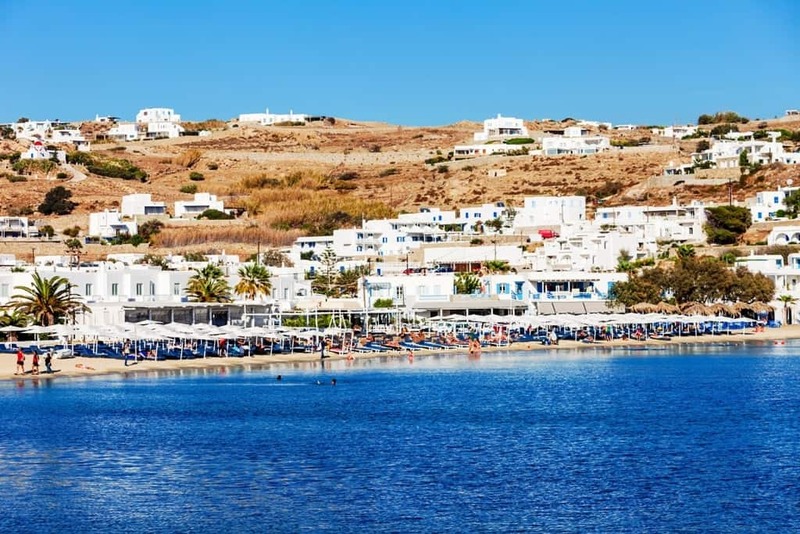 Part of the Cyclades group of islands, Mykonos is one of the most popular tourist destinations in Greece. 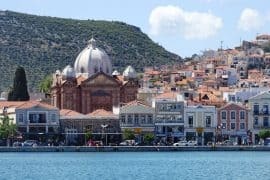 A vibrant nightlife and cosmopolitan atmosphere attract visitors of all ages who come to enjoy parties and relaxation, picturesque villages and magnificent beaches with golden sands and the crystal clear waters of the Aegean Sea. 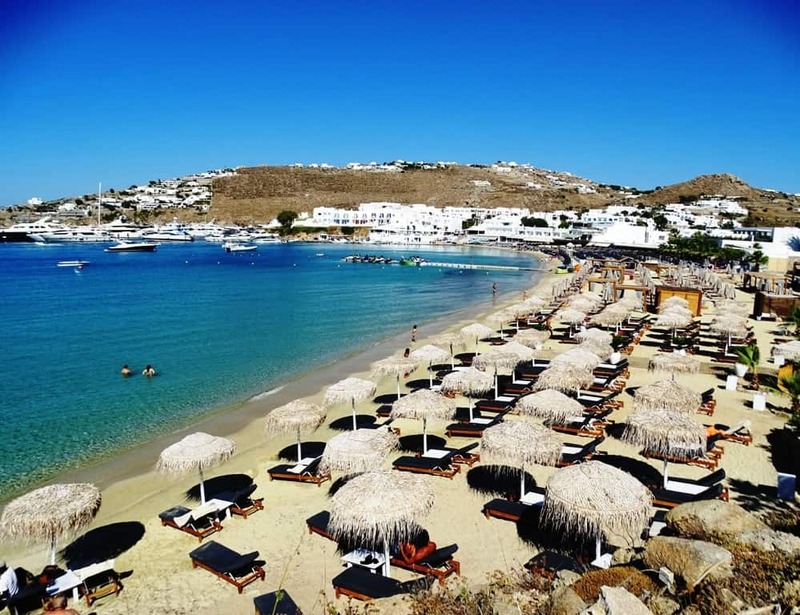 Most of the beaches on the island cater for the many tourists who come to visit the island, so here is a guide to the best beaches on Mykonos. 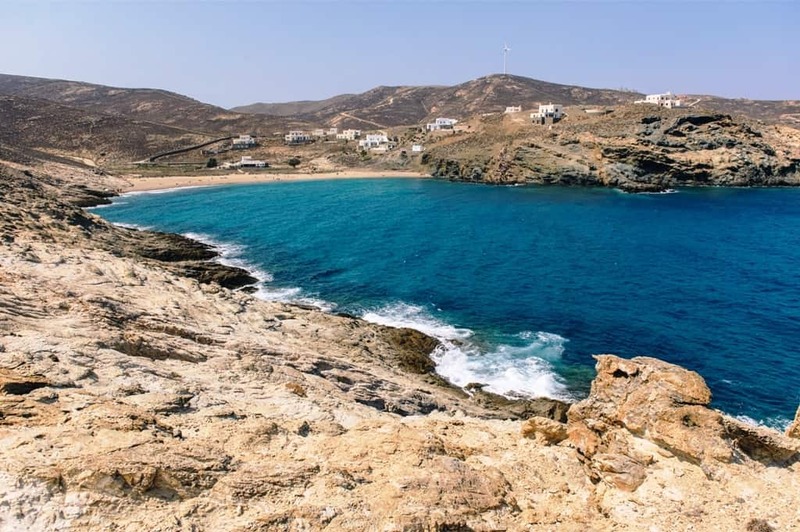 6km from Mykonos Town, Paradise beach is a sandy beach popular with young crowds who come here to party the day, and night, away. 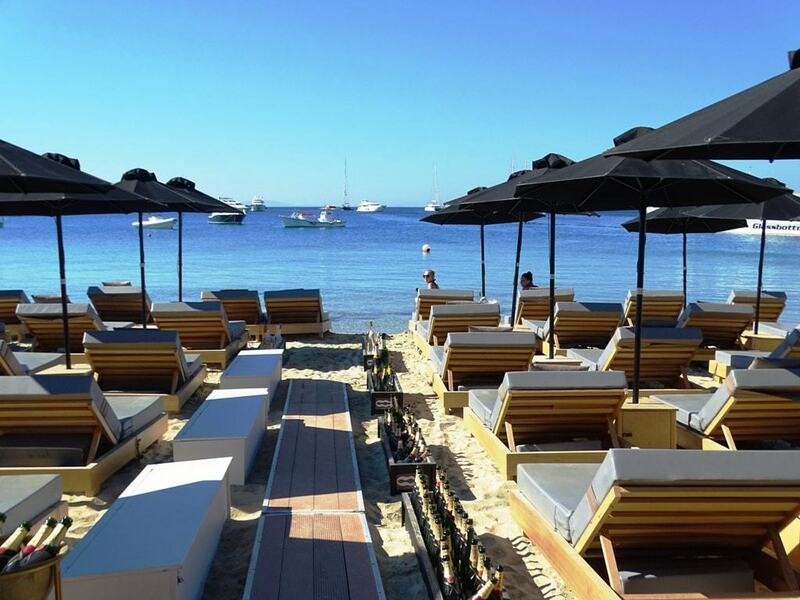 It’s organised with diving and watersports and plenty of bars and clubs which spill out onto the beach in the evening. Access is by footpath, boat or bus, it has a fantastic vibe and good for swimming in the beautiful clear water. It’s also nudist friendly. 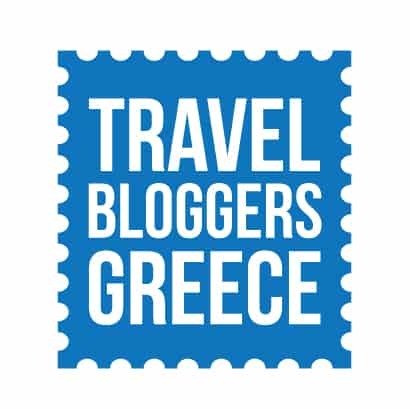 You might also like: The best areas to stay in Mykonos. Just along the road from Paradise beach is Super Paradise beach which is one of the most beautiful in Greece, with soft, golden sand and crystal clear water. It’s organised and access is by taxi boat or bus. It’s a great place to spend the day, but it’s advisable to arrive early because it can get crowded during high season. It’s picture perfect with a blue-green sea to match the azure sky. 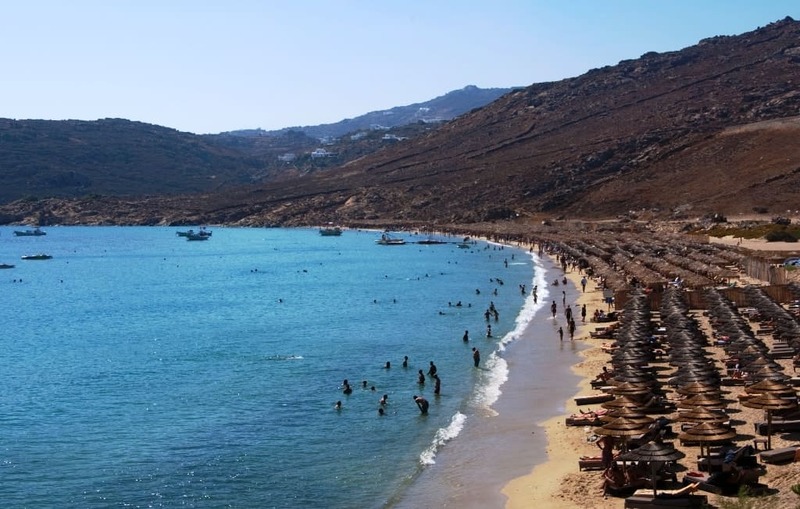 Said to be the most famous gay beach in Greece, it attracts a young crowd eager to join in the lively atmosphere. 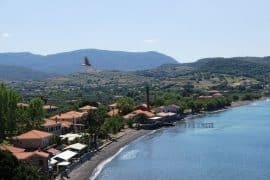 Ornos beach is well developed with sunbeds and umbrellas, many cafes and restaurants and good for windsurfing, diving and water skiing. 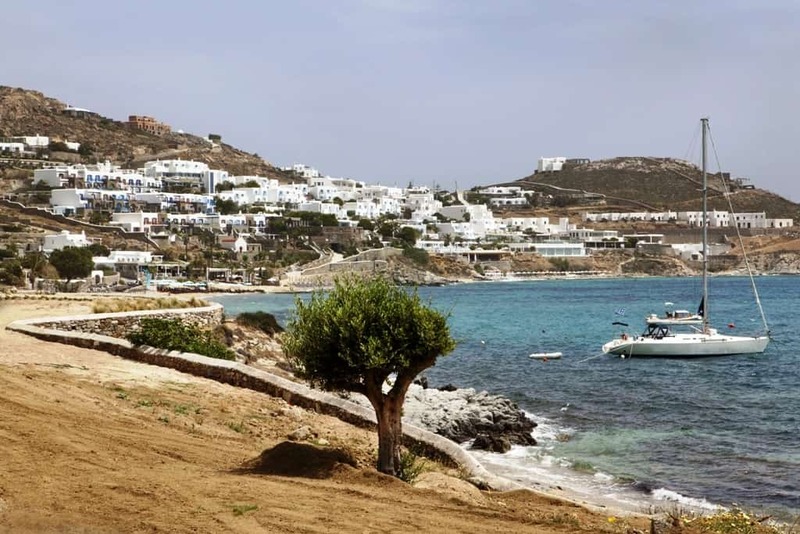 It’s 3km from Mykonos Town, so it’s easy to get to by bus or boat. Family friendly with sand and clean, blue water, it’s located in a lovely bay with great views. Although it can get crowded, it is more relaxed than other beaches, so it’s an enjoyable place to spend the day. 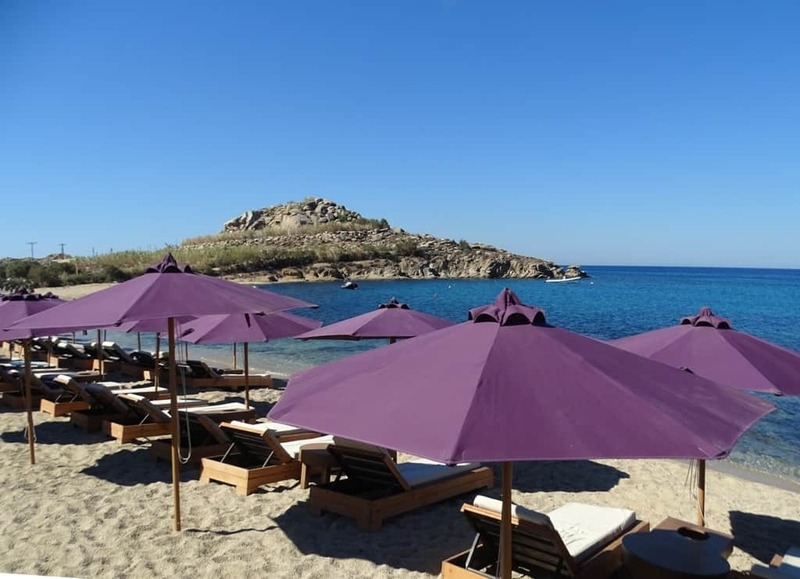 11km from Mykonos Town, is one of the longest and most popular beaches on the island, with plenty of facilities, like sunbeds, umbrellas and beach bars. It’s sandy, family friendly and a great spot for water skiing, parasailing and windsurfing. Elia is the last stop on the taxi boat, so it’s quieter than other beaches, so it’s popular with naturists, and there are plenty of alcoves to find your own secluded spot, or if you fancy a walk up into the hills you’ll get fabulous views out over the cute little bay. Located in the south of the island, is the idyllic Psarou beach which attracts thousands of visitors every year for its stunning bay, golden sands that dazzle in the sunlight, and turquoise water which is great for snorkelling and scuba diving. 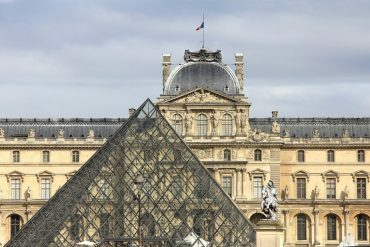 It’s organised with lots of restaurants, bars and music which give it a party atmosphere. The well known Nammos beach bar is located here.Although Psarou beach has an inviting atmosphere, it has a reputation of being overcrowded and expensive. 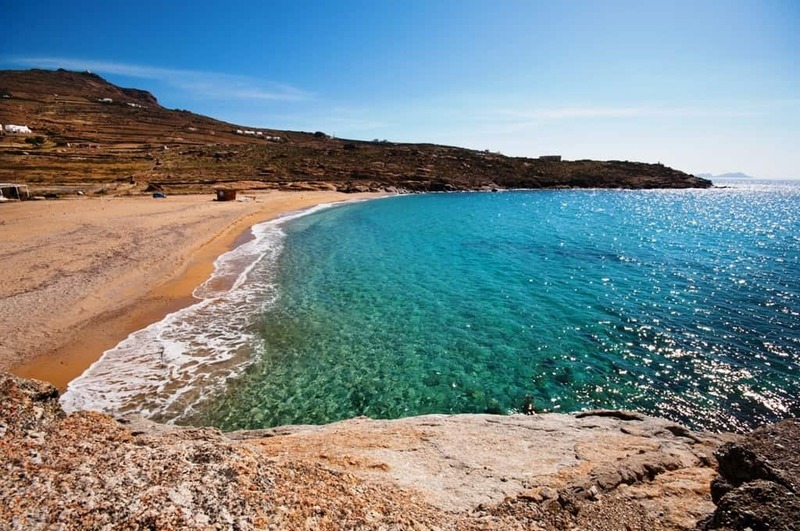 5km from Mykonos Town, Platys Gialos beach is one of the most popular and well organised beaches on the island. 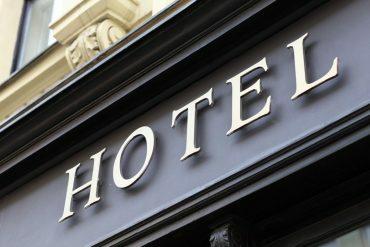 It’s easy to reach by taxi boat or local bus and there are many hotels, restaurants and cafes nearby. It’s a great family beach with a long stretch of sand, calm water, good for swimming, sunbeds, umbrellas and watersports. A good place to spend the day and relax on a sun lounger with drink in hand. Paraga beach is two sandy beaches separated by a headland. Best of both worlds, the southern side is peaceful and the northern side is more organised, with tavernas, music, watersports and good swimming or snorkelling. 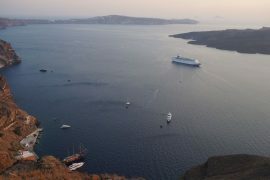 It’s easy to reach by bus, boat or a 15 minute walk from Platys Gialos. Be prepared to pay over the odds for a sunbed (around 30 euros), it can get crowded and the music loud, so it’s not the place for a relaxing day, but it has a fun atmosphere. It’s also nudist friendly. The beautiful beach of Agios Ioannis, located on the south west coast, is fairly remote and calm, even during high season. Soft sand for relaxing, crystal clear water for swimming, and spectacular views of Delos, make it a perfect getaway to spend a few hours. It’s organised with sunbeds, umbrellas and windsurfing, and there are a couple of fabulous restaurants with tasty food and great music. Close to Kalafatis, Lia beach has a quiet and relaxing atmosphere, with no music blaring out. 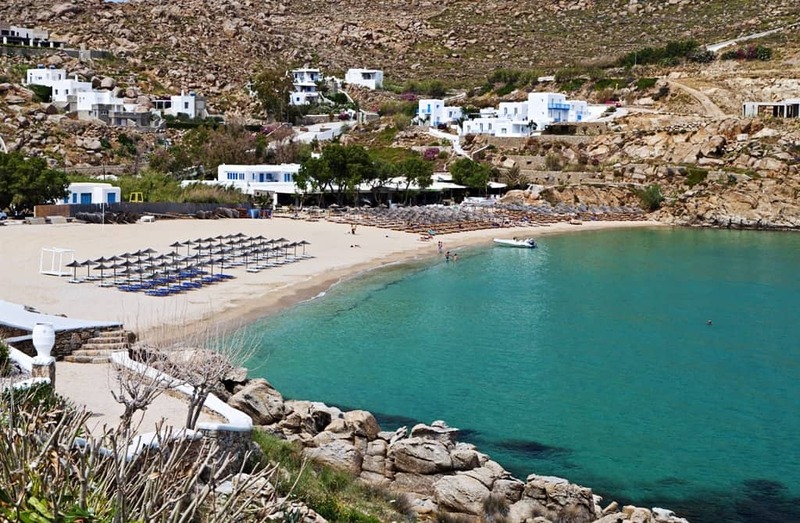 The surrounding hills, sandy beach, and crystal blue water make it one of the most beautiful spots on Mykonos. 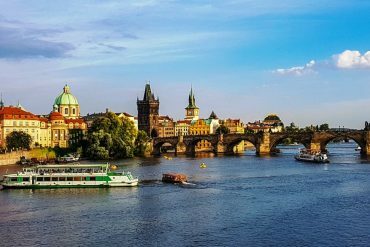 It’s easy to reach by taxi boat, there are two restaurants, with friendly staff and an extensive choice of food and drink. This beach is family friendly and partly organised, the sea is splendid for swimming, and the rocks, just offshore, are good for diving and snorkelling too. Fokos beach, in the north of the island, is accessed by car only. It’s secluded and is far away from the party beaches. 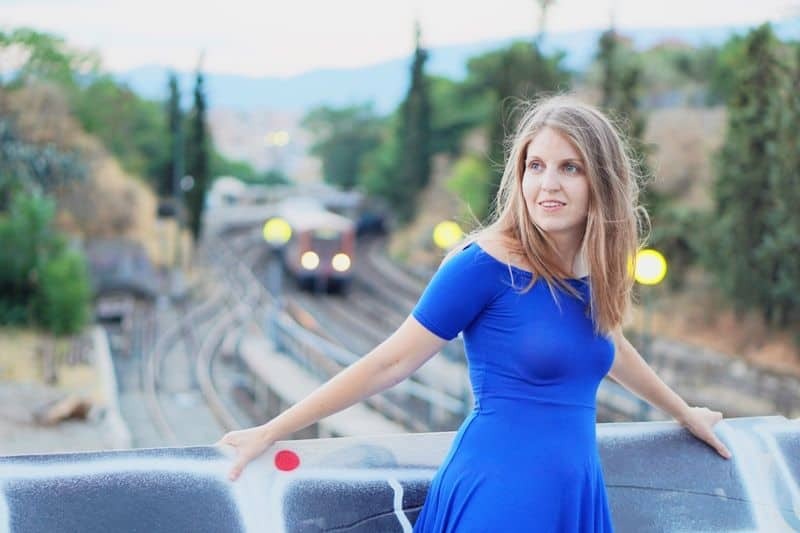 The atmosphere is calm and there is one taverna in the area, which serves a range of delectable dishes. Fokos has a sandy beach, but it isn’t suitable for swimming because it can get windy and the sea choppy, but the area is unspoilt, so it’s a lovely place to come and enjoy the stunning natural beauty. Part of the beach is popular with naturists who come to indulge in the peace and privacy. 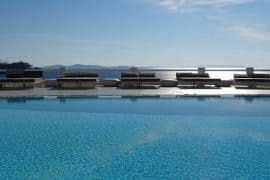 You might be interested: What to do in Mykonos, the best Mykonos Tours, Where to stay in Mykonos and the best day trips from Mykonos. Morning guided tour to Delos visit the UNESCO World Herirage site of Delos on a guided tour from Mykonos. Half-Day Authentic Island Tour. 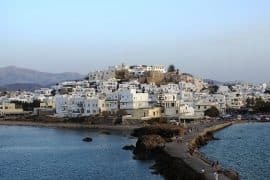 Want to see the real Mykonos? 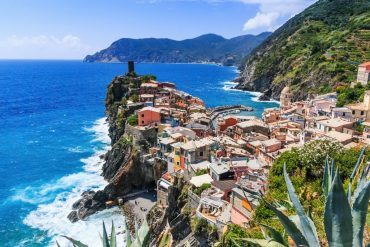 This tour will take you to remote villages, hidden harbors and secret beaches. Traditional Lunch or Dinner at the Mykonian Spiti. Enjoy a traditional homemade lunch or dinner in a local house. Which one is your favorite Mykonos Beach? Did you like this post? Pin it?